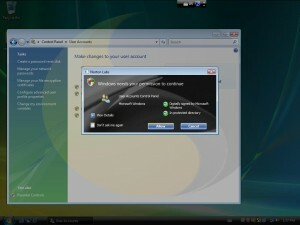 Norton UAC Tool improves over Windows Vista UAC | Tech for Lunch! The very first time I tried Windows Vista, I was annoyed by the UAC right away. 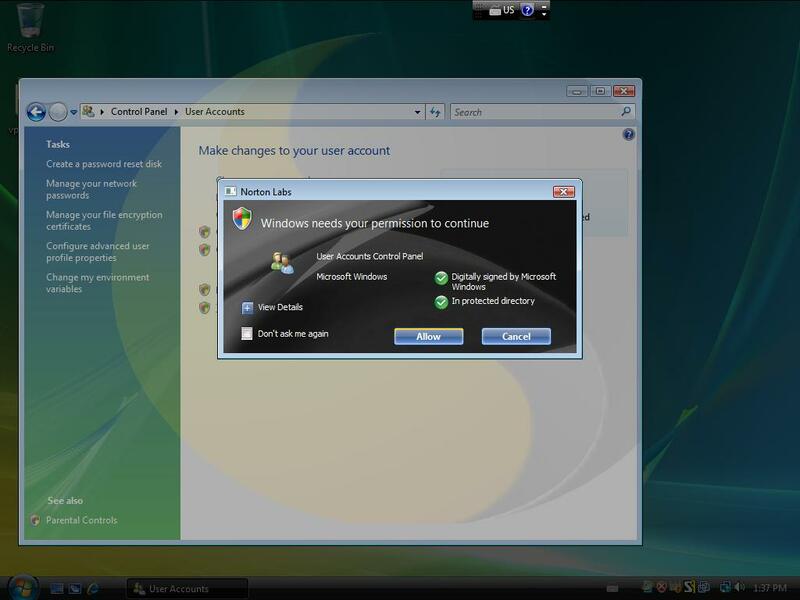 User Account Control (UAC) is a that feature of Windows Vista that makes it so you are never actually logged-in as an administrator. Instead, whenever you need to accomplish a task that requires admin rights, you need to confirm that you actually want to do it. It’s not a bad idea per say, but it would have been a lot better if we had a little bit more control over it. For example, being able to choose what tasks will require the UAC prompt and the possibility to “remember” the prompts to which you have already answered.